Mark graduated from the University of Melbourne and was then an intern and resident at the Royal Melbourne Hospital. He undertook his obstetric training at the Royal Women’s Hospital in Melbourne, and completed his doctorate thesis (MD) on intrapartum fetal monitoring at the Queen Mother’s Hospital in Glasgow. Mark returned to the Royal Women’s Hospital as a Consultant Obstetrician in 1993. He also began his private practice at that time. In 1997, he established Australia’s first Multiple Pregnancy Clinic at the Royal Women’s Hospital. He has a strong interest in high-risk obstetrics, particularly multiple pregnancies, pregnancy loss, premature delivery and recurrent miscarriage. Mark has conducted extensive research and training, and is actively involved in teaching at the University of Melbourne. He is on the Editorial Board of Twin Research and Human Genetics. He is one of the founding members of the Australian Centre for Excellence in Twin Research. He has published widely with over 50 peer-reviewed papers, several chapters in books and has presented at many national and international conferences. A list of his publications can be found here. Mark’s primary public teaching hospital role is as the Director of Maternity Services at Royal Women’s Hospital. He is also a Clinical Professor in the University of Melbourne and the National Patron of the Australian Multiple Birth Association. Mark was honoured to receive an Order of Australia (AM) in 2018 for significant service to medicine in the field of obstetrics, particularly complex pregnancies, as a clinician, consultant and academic. Alli has worked with Mark since he commenced practice in 1993 as his Practice Manager. She started her career as a Division 2 Nurse at the Royal Women’s Hospital. Alli is married and has two children. She enjoys spending time with her family, friends and her gorgeous dachshund Winnie. Her interests are yoga and shopping. Libby has been working with Mark since 2000. Libby is married with two children. Her interests are boxing, quilting, sewing, travelling and spending time with her family and friends. Lauren has been working with Mark since 2017. She is currently studying for a Bachelor of Occupational Therapy at Deakin University. She enjoys travelling, going out with friends and shopping. Scott is also based at Frances Perry House and the Royal Women’s Hospital. He shares rooms with Mark. He has a particular interest in high-risk obstetrics, with areas of specialty including multiple pregnancy, maternal medical conditions in pregnancy, cervical insufficiency, preterm birth and complex operative obstetrics. Scott endeavours to provide evidence-based guidance that ultimately allows his patients to make informed choices throughout the entire pregnancy and birth. Vicki is based at Frances Perry House in separate rooms (Suite A). She delivers both low and high risk pregnancies. Vicki also works at The Royal Women’s Hospital where she is further specialising in ultrasound. 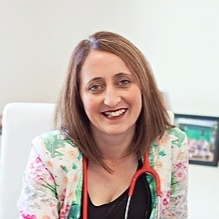 Currently Vicki is the Coordinator of the specialist obstetrics and gynaecology training program at the Royal Women’s Hospital. Vicki is passionate about holistic and patient centred care. Outside of work Vicki enjoys spending time with her three kids and husband, running, cooking and eating. Dr Jonathan Nettle is an Obstetrician and Gynaecologist based at Frances Perry House where he shares rooms with Dr Vicki Woodward. 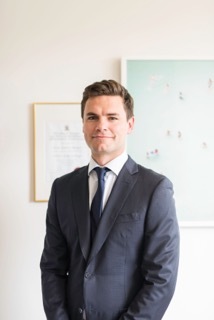 Jonathan also works as a consultant Obstetrician Gynaecologist at the co-located Royal Women’s Hospital. Jonathan’s Obstetric practice covers all pregnancies from low to high risk. Jonathan also works in general gynaecology with an interest in minimally invasive surgery.